For my last column, I have decided to do something rather different and reflect on the past few months in the world of Korean cinema, which continues to be a vibrant and healthy industry with no fewer than 100 films released each year and admissions to local films surpassing 100 million annually since 2012. The market has now reached saturation point and the Korean studios such as CJ E&M and Lotte Cultureworks are now expanding into parts of Southeast Asia and further through their cinema chains in order to generate growth. As I write, Kim Yong-hwa’s fantasy epic “Along with the Gods: The Last 49 Days” is looking to become one of the most successful Korean films of all time having smashed a number of box office records including biggest opening day (1.2 million) and weekend (3.8 million) just seven months after its concurrently shot predecessor, “Along with the Gods: The Two Worlds,” pulled in more 14 million viewers. A huge gamble for the studio Lotte, it turned their fortunes around in the film industry following a string of flops. Although not a big hit with critics, the two-part series is an example of how far the industry has come in delivering spectacle, not only for Korean audiences but viewers across Asia where the studios are increasing their presence. One week before the release of “Along with the Gods,” Kim Jee-woon’s much anticipated and expensive science fiction action film set in a hypothetical future where North and South Korea are on the verge of reunification drew largely negative reactions from audiences and critics alike. As such, it became this summer’s box office flop and was pulled from most screens just seven days after it was released on July 25. I personally enjoyed it more than most, but I agree it’s not among Kim Jee-woon’s most accomplished pieces, which rank as some of the best genre films in contemporary Korean cinema. Although not a box office hit, for me one of this year’s surprisingly good films was Min Kyu-dong’s “Herstory.” Min is a talented director, having co-written and co-directed “Momento Mori.” His other credits include “All About My Wife,” but his last film, “The Treacherous,” is frankly atrocious. His latest film is a return to form for Min. Dealing with comfort women — and more specifically, a challenging legal battle in the 1990s in Japan demanding an official apology from the Japanese government — it’s by far the best film to approach this subject. 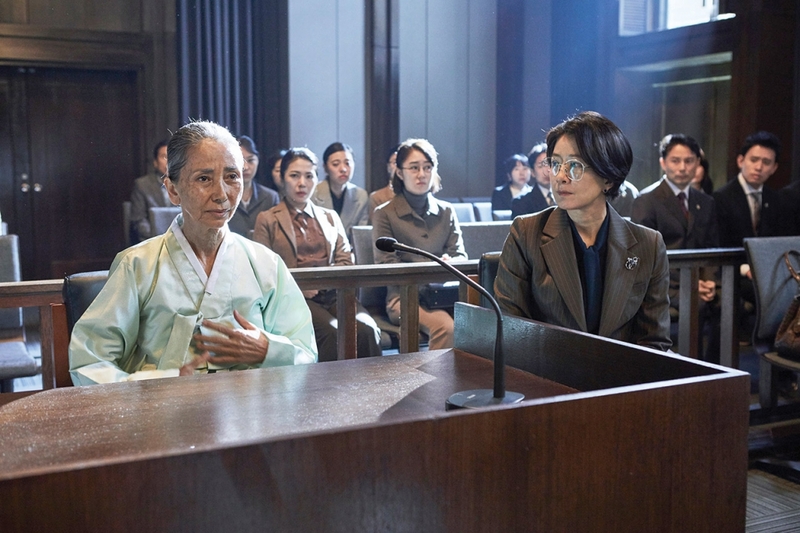 Restrained and yet powerful, it’s a superbly acted drama starring Kim Hee-ae and Kim Hae-sook. When it comes to consistency, Lee Chang-dong delivers. His latest film is an example of that; another masterpiece from one of Korea’s most talented filmmakers. “Burning” is perplexing, nothing is what it seems as it focuses on a love triangle between two young men and a woman. Requiring multiple viewings, it explains, perhaps, why initial reaction in Korea was somewhat lukewarm. In Cannes, however, it broke Screen International’s jury grid record making it the best reviewed film at the festival.